If You Or a Loved One Has Been Charged with a Federal Crime, Call Indiana Bail Bonds for Federal Bonds. Not every crime or charge will have the same type of bail bond. Different bail bonds used depending on the jurisdiction. There are local, state, and federal bail bonds, each is used based on what type of crime was committed. For federal crimes, local and state bail bonds cannot be used, a federal bond will need to be used in order to secure your release. If you or someone you love has been charged with a federal crime, you will need a bail bond company who can help you navigate the federal bonds process. At Indiana Bail Bonds, we are experienced and well-versed in federal bail bonds, so when you need federal bonds in Avon and Indianapolis, IN, you can depend on us. Call our professional team of bail bond agents at 317-423-9300 today to start the federal bail bonds process. Unlike local or state bonds, you cannot post bail for federal cases until you have appeared before a judge. And unlike local bail where there might be scheduled bail, federal bail will be determined by a federal magistrate judge. The judge will take many things into consideration when determining the bail amount, like the severity of the crime and criminal history. If they consider you a flight risk, they will not grant you bail. However, if you are granted bail, you need a bail bondsman who is certified and knowledgeable in federal bonds. 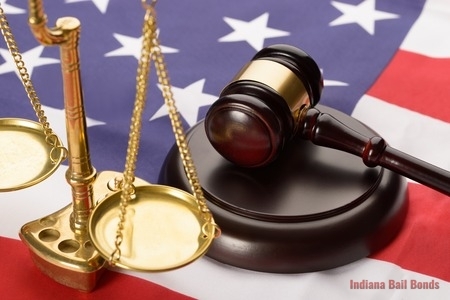 Federal bail is a complicated process and requires the assistance of a licensed bail bond agent; fortunately, the bail bondsmen at Indiana Bail Bonds can help you out! Give us a call today and we can provide you with federal bonds in Avon and Indianapolis, IN. From counterfeiting to arson, we can help you get released from jail so you can prepare for your trial. We will make sure that every detail is handled and the proper paperwork is completed. Whether your bail is a federal bond uses deeded property with justification or federal bond with no justification, we have the experience you need to help you through this process. Learn more about our bail services or call us at 317-423-9300 for federal bonds in Avon and Indianapolis, IN for you or your loved one. We are open 24/7, so we are always here when you need us most. Updated on March 27, 2018 at 8:13 am by Indiana Bail Bonds.